Police tape is a form of barrier tape that warns the public that emergency services are investigating an area, thus prohibiting entry. This is also known as crime scene tape or do not cross tape, and is used mostly for crime scenes but also for crowd control. Here at Label Source, we provide a high-quality range of police tape containing boldly printed text messages to clearly identify risks relating to crime and related public safety. Our police tapes are premier grade printed barrier tapes, therefore ensuring both quality and safety. Selective tapes are supplied for customs, military, RAF, and harbour police services. 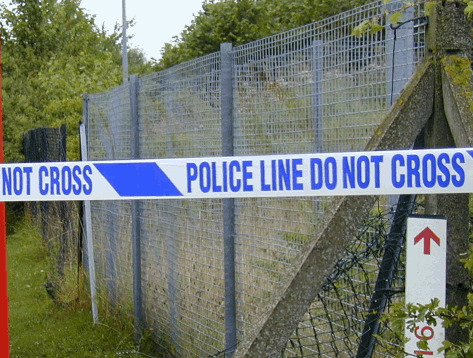 In particular, the police tape is useful on crime-focused TV and film production sets. Label Source’s police caution tape is strong, resistant against UV and scratch, lightweight and available in blue or red. Bilingual police line tape is also available for Welsh services. For the best in police tape, check out our selection below.